April is Distracted Driver Awareness Month. Photo by Paul Oka. Young people are driving almost a quarter fewer miles than they were a decade ago, according to new report by the U.S. Public Interest Research. Thailand and China agreed to establish a joint working committee to implement a high speed rail project to connect Kunming in southern China with the Lao PDR and Thailand. The success of New York University’s 30-bike pilot program suggests that bike-share programs can work in New York City. Earlier this month, the university added 45 bicycles and made the program permanent. The City of Winnipeg offered free rides on its new 3.6-kilometer bus rapid transit (BRT) corridor, in advance of the $138-million project’s official opening on Easter Sunday. EMBARQ (the producer of this blog) and the Across Latitudes and Cultures – Bus Rapid Transit Centre of Excellence (ALC-BRT CoE), in collaboration with the International Energy Agency (IEA), launched BRTdata.org, the most comprehensive online database of bus rapid transit (BRT) systems worldwide. Mayor Michael R. Bloomberg completed a $45 million roadway, pedestrian, and bicycle improvement project that has transformed the primary entry point into the Queens borough of New York City. The Centre for Environmental Planning and Technology (CETP) has decided to collaborate with the Clean Air Initiative for Asian Cities (CAI-Asia) to curtail emissions in the city from land use and transport. 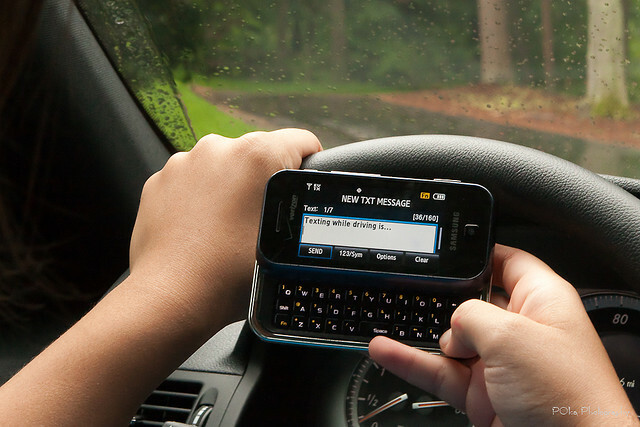 Meanwhile, a new study shows that 48 percent of drivers in major European countries admit they have read texts behind the wheel, a highly distracting habit proven to contribute to traffic crashes. The New York Police Department has started tracking the growing number of bicycle crashes, the same way that they would track typical car crashes. A new ad campaign, sponsored by “Americans for George,” is appearing on D.C. Metro billboards, encouraging people to oppose a bill that would replace the dollar bill with a coin. Dallas Area Rapid Transit (TX) customers will now be able to reach DART Police with a text message, in an attempt to provide another communications channel for hearing-impaired customers and those who prefer texting over talking.